The aqua facial is also known as the hydro microdermabrasion treatment. It is one of the latest innovations in skincare technology and it involves the outer layer of the skin being gently exfoliated using specialised solutions and serums. This treatment helps to unclog pores and revitalise skin, leaving skin feeling hydrated and looking radiant. 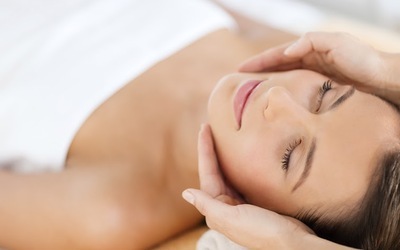 This facial is recommended for those experiencing dull skin, enlarged pores, fine lines, blackheads, and more. Extraction and clarifying treatment that dislodges dead skin cells and cloged pores. Valid Mon – Sat: 10am – 7pm. Not valid on Sun and public holidays.